Set and Costume design for baroque opera Alcina, by baroque composer G. F. Handel. This production was part of the Handel Festival in Halle. With this production the Handel Festival aimed to address a younger audience than classical music in general and baroque music specifically attracts, by exploring new ways of performing the wonderful work of Handel. 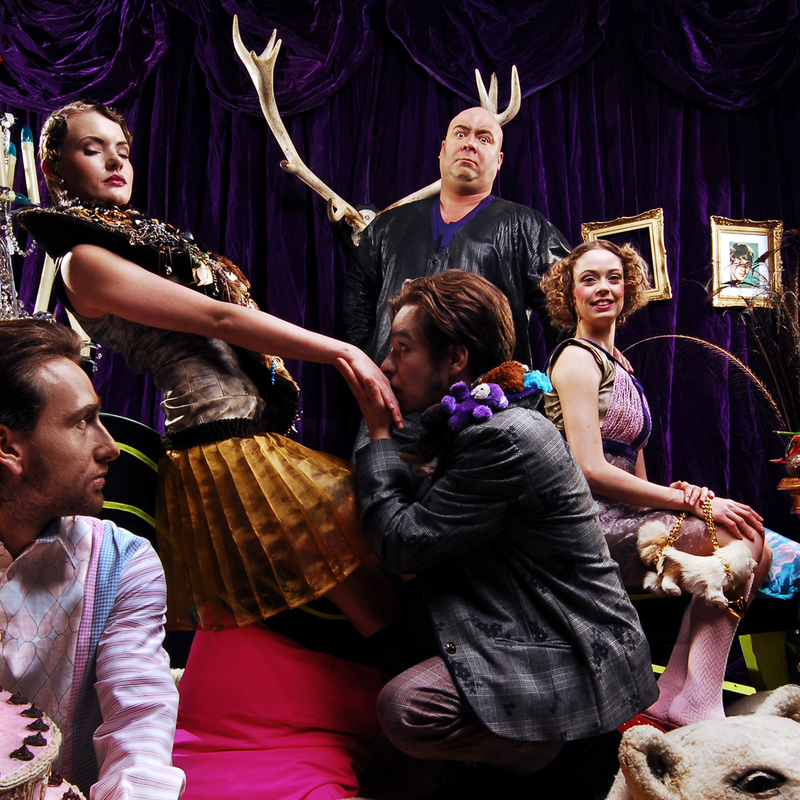 This Alcina production aims to provide the basis for a critical examination of opera today. Consumerism and our hedonistic and narcissist tendencies were the focus in this production. Love was the opponent and answer to the problems this lifestyle poses. The director left one big part of the development of the main characters through their costumes to me. I also designed costumes for the chorus and the dancers. I also developed the design for props and set dressing. We transferred the idea of an island in our time by locating the setting into a club – a Saturday night out. There, the protagonists encounter one another and the situation between them heats up. Via a photo-story, projected onto the walls of the theatre, the story unfolded, while dancers and singers performed live. 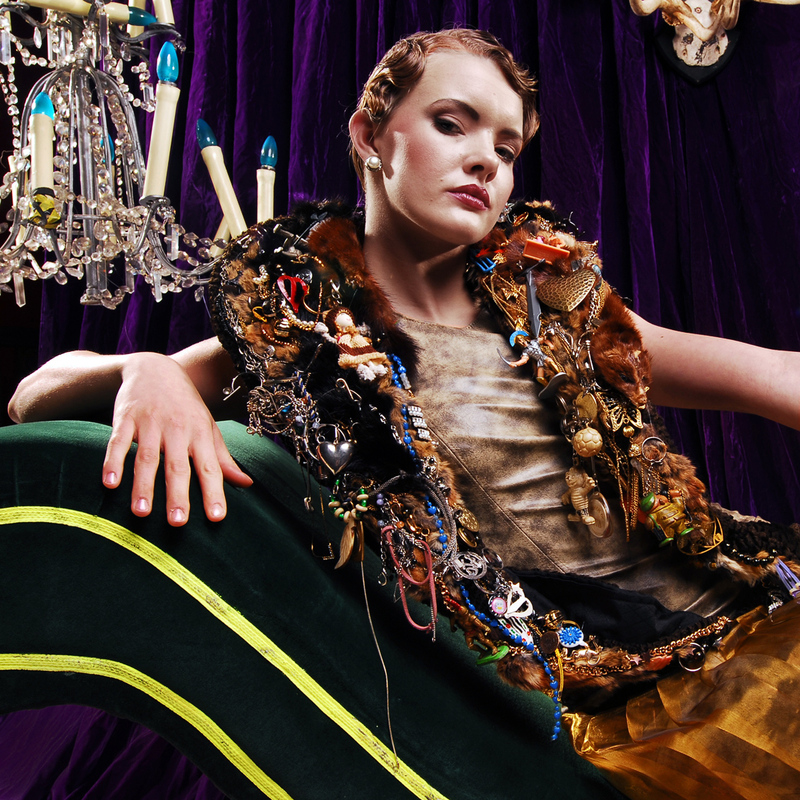 We were aiming for an opulent and exorbitant classic fashion photography to get our point across. 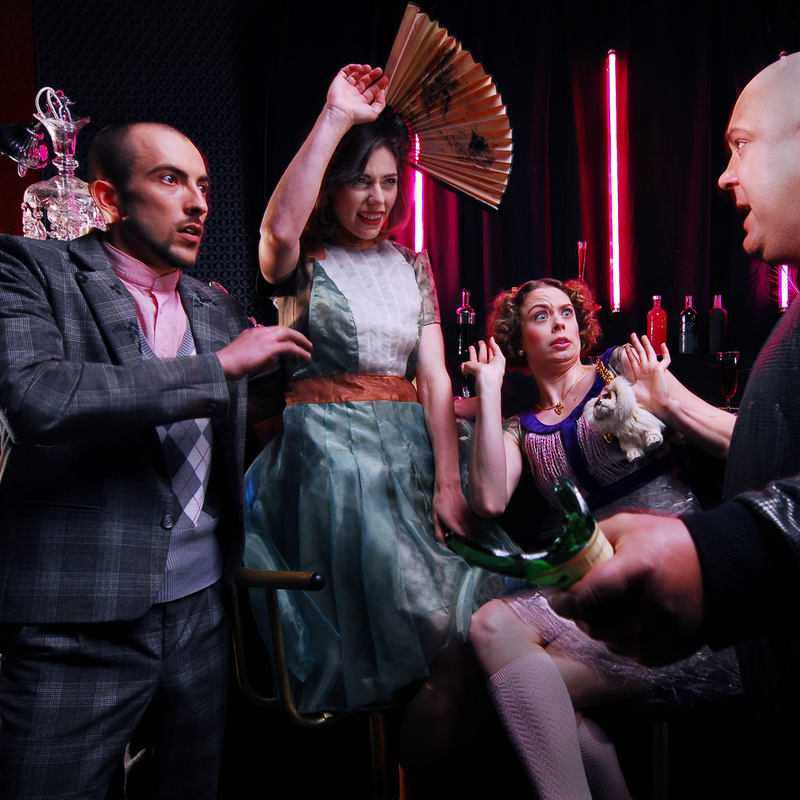 The main setting is Alcina’s enchanted island, in this production a night club, where she is living with Ruggiero, whom she has bewitched so he forgets his fiancé Bradamante. He falls temporarily in love with her. As part of her entourage is the son of another former lover – Oberto. Ruggiero’s fiancé Bradamante sets out to rescue him, accompanied by her governor Melisso, who is equipped with a magic ring. Alcina’s sister Morgana welcomes them on their arrival on the island and instantly falls in love with Bradamante. The director broke here with the original plot and challenged ideas of love when deciding to let Morgana fall in love with another woman. Morgana brings them to Alcina’s palace where Alcina sits with Ruggiero. The fight between the two women Alcina and Bradamente for Ruggiero begins. Above Alcina with her lover Ruggiero, behind her is her sister Morgana and her lover. In the foreground is Oberto.